This article is about a title. For other meanings, see marshal (disambiguation). For the rank of field marshal, see field marshal. Marshal (also spelled marshall) is a term used in several official titles in various branches of society. As marshals became trusted members of the courts of Medieval Europe, the title grew in reputation. During the last few centuries, it has been used for elevated offices, such as in military rank and civilian law enforcement. "Marshal" is an ancient loanword from Old (Norman) French (cf. modern French maréchal), which in turn is borrowed from Old Frankish *marhskalk (="stable boy, keeper, servant"), being still evident in Middle Dutch maerscalc, marscal, and in modern Dutch maarschalk (="military chief commander"; the meaning influenced by the French use). It is cognate with Old High German mar(ah)-scalc "id. ", modern German (Feld-)Marschall (="military chief commander"; again, the meaning influenced by the French use). It originally and literally meant "horse servant", from Germanic *marha- "horse" (cf. English mare and modern German Mähre, meaning "horse of bad quality") and skalk- "servant" (cf. Old Engl. scealc "servant, soldier" and outdated German Schalk, meaning "high-ranking servant"). This "horse servant" origin is retained in the current French name for farrier: maréchal-ferrant. The late Roman and Byzantine title of comes stabuli ("count of the stables") was adopted as a Latin analogue, which has become the French connétable and, derived from the French, the English word constable. Finally, in Byzantium a marshal with elevated authority, notably a borderlands military command, is also known as an Exarch. Some historical rulers have used special "marshal" titles to reward certain subjects. Though not strictly military ranks, these honorary titles have been exclusively bestowed upon successful military leaders, such as the famous grand marshal of Ayacucho Antonio José de Sucre. Most famous are the Marshals of France (Maréchaux de France), not least under Napoléon I. Another such title was that of Reichsmarschall, bestowed upon Hermann Goering by Adolf Hitler, although it was never a regular title as it had been "invented" for Goering who was the only titleholder in history. In England during the First Barons' War the title "Marshal of the Army of God" was bestowed upon Robert Fitzwalter by election. 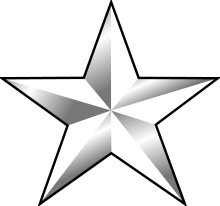 The Soviet Union had three marshals ranks. The relationships between them is unresolved. Chief marshal of a troop arm was used in five Soviet military branches – the air force, artillery, armoured troops, engineer troops, and signal troops. "Marshal of a troop arm" was used in five Soviet military branches – the air force, artillery, armoured troops, engineer troops, and signal troops. "Marshal of a troop arm" is considered equivalent to the rank "general of the army," which was used in the infantry and the marines. In motorsports, such as auto racing, motorcycle racing, and rallying, the track marshals wave the racing flags and assist crashed or broken-down vehicles and their drivers, while pit marshals watch over the procedures in the pits, and fire marshals assist in the event of a fire on the track or in the pit. The FIA provides general rules and recommendations on marshalling. In the 1977 South African Grand Prix, 1977 Japanese Grand Prix, 2000 Italian Grand Prix, 2001 Australian Grand Prix, and 2013 Canadian Grand Prix, track marshals were victims of fatal accidents. In many U.S. states, marshals can be found acting at the state, local or municipal court level; marshals can be court bailiffs or process servers, or even full police officers. Although some may be sworn peace officers, their job is, in certain cases, entirely civil rather than criminal law enforcement. Some communities maintain a town marshal who is responsible for general law enforcement as well as court duties, while others are strictly court officers. This is especially true in communities with both police and marshals. At least one local railroad servicing company's part-time public safety staff, which are both fire and police trained, is supervised by a chief marshal. Arizona: Cities, towns and villages decide whether to appoint or elect a marshal, or have the board, council, or city manager hire a chief of police as the top criminal law enforcement official for their jurisdiction (as in the town of Tombstone). Marshals are elected by the trustees to serve a fixed term, and chiefs of police can be fired at will by whomever hired them, just like any other employee. California: Several urban counties (including Los Angeles, San Bernardino County, California, and San Diego) once maintained separate county marshal's offices, which served as court officers similar to U.S. marshals, but mainly for the municipal court system. This system was abolished by state law in 2000, when the sheriffs of those counties announced that those counties' marshals would be absorbed into their departments. Therefore, many have been merged into or taken over by the local county sheriff's office, with the exceptions of San Benito County, south of the San Francisco Bay Area, Shasta County and Trinity County both located in Northern California. California also has fire marshals and deputy fire marshals, who may work for the State of California Fire Marshal's Office, or various county, city or special districts throughout the state. Fire marshals and deputy fire marshals are full-time sworn peace officers throughout the state, with powers of arrest statewide under section 830.37 of the California Penal Code. Their responsibilities include fire and arson investigation, bomb and explosives investigation, general law enforcement, as well as enforcement of the fire code. City marshals, are the elected chief law enforcement officers of a city or town. They have the same police powers as a regular police officer within the city limits. The amount of training to be a city marshal is far less than for a regular municipal police officer; as such a marshal's jurisdiction is strictly limited to the city limits of the city to which they are elected. Even if they witness a violation of the law in their city, they cannot pursue a person who flees beyond the city limits. The position of city marshal is rare in the State of New York and is now only found in very small rural cities that do not have the budget to maintain a police department. The hereditary title of "marshal" at one time designated the head of household security for the King of England. William Marshal, 1st Earl of Pembroke, served four kings in this office, ultimately becoming one of the most powerful men in Europe; by the time he died in 1219 people throughout Europe (not just England) referred to William Marshal simply as "the marshal". The office of hereditary Marshal (or Earl Marshal) thus evolved into that of a Great Officer of State. The task of maintaining law and order within the King's Court then devolved upon the office of Knight Marshal (established in 1236). Together with his officers, the King's (or Queen's) Marshalmen, the Knight Marshal continued to have restricted powers of arrest within a 12-mile radius of the sovereign's palace until 1846, when the office was abolished. In 1595, Queen Elizabeth I issued letters patent giving powers to a marshal to maintain order within the City of London. Later, an under-marshal and six city marshalmen were appointed to assist the marshal in his duties. As a result of the Police Acts of 1829 and 1839, the marshal's role changed significantly. 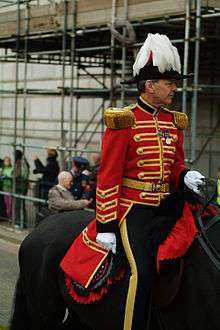 There is still one city marshal (As of 2009), currently Colonel Billy King-Harman, CBE, who acts as peacekeeper to the Lord Mayor of London, leading processions and representing the Lord Mayor at all Entries of Troops (challenging and then escorting those few regiments entitled to march though the City of London). 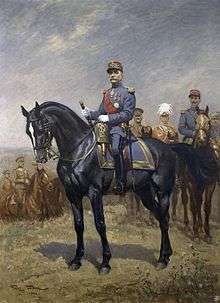 The title "Marshal of France" is a Dignité d'État ("State Dignity") in the contemporary French Republic, not strictu sensu a military rank. It is granted to generals for exceptional achievements, especially in times of war or national crisis. Six Marshals of France have been given the even more prestigious rank of "Marshal General of the King's Armies and Camps": Biron, Lesdiguières, Turenne, Villars, Saxe, and Soult. The rank resp. title does no longer exist in present-day republican France. In the novel Starship Troopers, the rank of sky marshal is held by the Commander-in-Chief of the military. In the computer game StarCraft, the major character Jim Raynor is a Confederate Marshal at the story's outset. In the Dresden Files, Talos is the Lord Marshal of the Summer Court. He is shown to have much influence and bearing in the Court. In Mercedes Lackey's fictional country of Valdemar, one of the country's most important ranks is that of lord marshal. ↑ Webster's Encyclopedic Unabridged Dictionary of the English Language. New York: Gramercy Books. 1996. p. 879. ISBN 0-517-15141-3. ↑ According to Merriam Webster's, marshall is "considered a spelling error by several commentators" and "In American English, especially, marshal is the better choice." ↑ Elmar Seebold, ed. (2002). Kluge, Etymologisches Wörterbuch der deutschen Sprache (24th ed.). Berlin – New York: Walter de Gruyter. p. 1112. ISBN 978-3-11-017473-1. ↑ "Town vs. City - The Town of Clarksville, Indiana". Retrieved 2 April 2016. ↑ "Archived copy". Archived from the original on September 15, 2008. Retrieved March 2, 2008. ↑ "Archived copy". Archived from the original on June 14, 2008. Retrieved March 2, 2008. ↑ "Archived copy". Archived from the original on July 6, 2008. Retrieved March 2, 2008. ↑ "Deputy City Marshals (Official City of Las Vegas Web Site)". Retrieved 2 April 2016. ↑ "About Us". Retrieved 2 April 2016.